A zonal athletics meeting was organised at Anna Stadium in Tirunelveli at the end of August 2018. Thirty two schools entered competitors for individual and team sports. Our school makes a great effort to encourage both boys and girls to participate in a range of sports so we were able to field competitors in all the events. Our pupils took part with enthusiasm in track and field running distances from 100m to 3000m including relays and in high jump and long jump. In the Boys Division, we clinched eight gold medals and one in the Girls division giving us 9 Gold, 7 Silver and 5 Bronze medals in total. 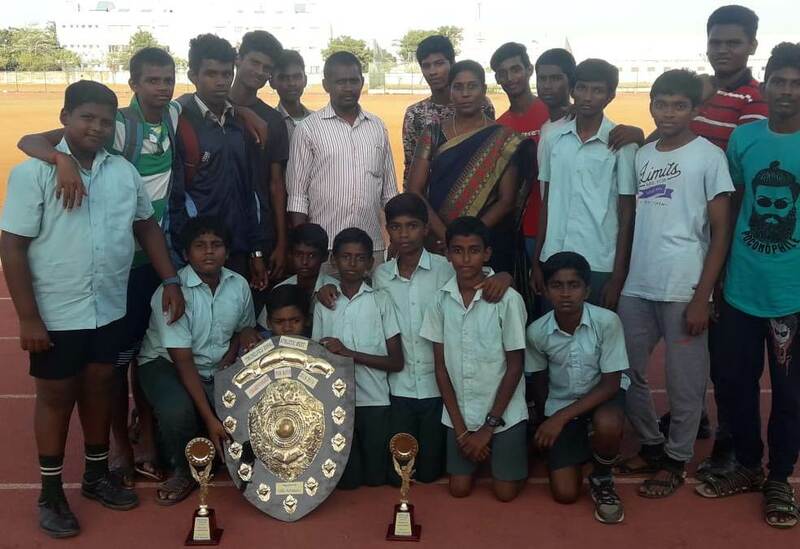 This made Sri Jayendra champions of the Zonal Athletics Meet 2018: we were awarded the Championship Trophy and the Title. Our Principal and Correspondent expressed their happiness over this victory. They congratulated the Physical Education Department Staff and Students for their hardworking, practice and dedication.